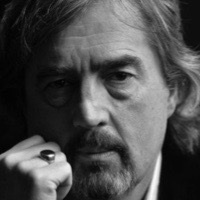 Sebastian Barry is a novelist, poet, and playwright. His latest book, Days without End (2016), tells the story of Thomas McNulty, a 17-year-old fleeing the Great Famine in Ireland by enlisting in the U.S. Army in the 1850s. He is sent to fight Sioux and Yurok Indians and, ultimately, fights in the Civil War. The central love story of the novel is between two men and was inspired by Barry's son's homosexual relationship. Of his son's relationship, Barry states, "I look at them and I think, 'This is not something that needs our tolerance, this is something we should be emulating. There is magnificence here of soul.'" The New York Times calls Days without End "a dreamlike Western with a different kind of hero." He is "an orphan, a refugee from Ireland's Great Famine, a crack shot, a cross-dresser and a halfhearted soldier, but mostly he's in love with a young man." In the novel Barry writes, "A man's memory might have only a hundred clear days in it and he has lived thousands. Can't do much about that. We have our store of days and we spend them like forgetful drunkards." Days without End won the 2017 Costa Book of the Year Award, the Walter Scott Prize for Historical Fiction and the Independent Bookseller's Award. Barry's plays include The Steward of Christendom (1995), Our Lady of Sligo (1998), and The Pride of Parnell Street (2007). His novels include A Long Long Way (2005); The Secret Scripture (2008), named Novel of the Year by the Irish Book Awards and Costa Book of the Year; and The Temporary Gentleman (2014). He has won, among other awards, the Kerry Group Irish Fiction Prize, the Independent Booksellers Prize, and the James Tait Black Memorial Prize. A Long Long Way and the top-10 best seller The Secret Scripture were short-listed for the Man Booker Prize. He was born in Dublin in 1955 and lives in County Wicklow, Ireland.